← Rejection Working in Our Favor! 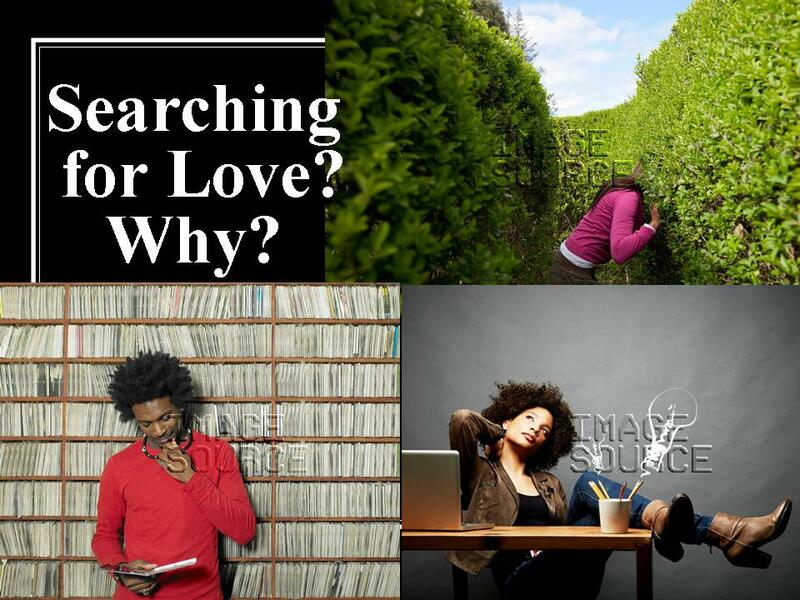 Many of us are searching for Love, and are having a hard time while accumulating bad experiences along the way. We are tired. Maybe even discouraged from what we’ve had to endure during our quest for Love. Searching implies something is out of reach. Difficult to find. So far away from our immediate grasp. Maybe even impossible. Maybe searching is not the answer. Love is closer than we think. It is a smile from a parent. A hug from your brother or favorite cousin. Love is a text from a friend that says “I love you” 800 miles away. Love is the Universe waking you up every morning. The list goes on and on. If we embrace the Love around us it will multiply! Love attracts Love, so what you want is right within your grasp and power! Love is not fragmented. It is an entire spectrum of what it does and what it is. We must embrace its fullness; otherwise we miss out, even in our search. We are so focused on romantic Love we are not embracing self-love to ignite more Love. The only Love you should search for (if you want to call it a search) is self-love. You must work and dig in deep. Self-Love is the drawing card and you are the magnet. When you love yourself people will be attracted to you. It has an auto filter, so you won’t need to do much weeding out the wrong type of people. Generally, only those who have self-love or are working to get it will be drawn to you. The journey is fun and exciting, but we want Love so badly we miss the many gifts it brings in so many ways. Sometimes we take the journey so seriously we miss the goodies. Every lover brings to us his/her own experience. Each experience provides lessons to learn that we should apply. If we are applying the lessons in every love encounter, we are building a portfolio of experience. We should not become weaker and easily broken through the experiences of Love, but many do. Rather than taking every Love encounter and fumbling (this is exactly what we are doing) to make it stay, focus on that Love and build it into something larger and stronger from when it started. Just because a Love ends, don’t fret. It is okay. Don’t regret it. It started out good. Remember that life. The only regret you should have is if you have not learned anything or if you are bitter. If you are learning the lessons, know that each one takes you closer to the Love for you. Regardless of the seriousness of Love, learn not to put your whole being in it too soon and too fast. Love is about layers. It is a process that is steady, strong and consistent. Keep talking, keep connecting, keep enjoying, and welcome the challenges. Welcome the differences too. Do not avoid, because if you do, it creates a void. Do not delay. It gets in the way. Don’t get desperate. Just chill. Groove with the flows and ebbs of the wonders in how Love will work itself when you work it. We often show signs of being desperate by moving in together too quickly. Having a baby too soon. Becoming emotionally attached without logic. Rushing to get married without knowing each other. These can be perceived as desperate tactics! Sometimes we are so focused on wanting to establish a relational lock down for our emotional security, our focus on the relationship is distracted thus causing neglect. Rather than bringing more value and enjoying the Love experience, we devalue the relationship by devising various ways to “fasten” our partner in. Opting for what is good for the relationship is always the best choice. Opting to satisfy a need that causes us to devise a desperate move is sure to cause relationship failure. This is how things begin to spin in a downward cycle. We want intimacy. We want a genuine connection. The need is great for a partner who we can share and be vulnerable with, and someone to truly bond with. Stop searching for Love. It is all around you! This entry was posted in Fix Yourself and tagged love is all around us, not searching for love, searching for love, self love bring romantic love. Bookmark the permalink.